A new paper by Preisser et al. has just been published in European Urology Focus (and there is associated commentary on the Renal & Urology News web site). Preisser et al. carried out a careful retrospective analysis of data on a total of more than 68,000 men who had had a radical prostatectomy for the treatment of prostate cancer (using robot-assisted or open techniques) between 2006 and 2013. Overall, complications developed in about 8,500 or 12.4 percent of the patients. Almost all postoperative complications of radical prostatectomy are age-related. The impact of age on risk for postoperative complications is greatest in men aged 70 years and older. Increasing age was also associated with longer hospital stays post-surgery. Virtually all early postoperative RP complications are directly related to age. In consequence, these observations should be considered from an individual patient perspective as well as from a health management perspective. Now we would add a word of caution about the interpretation of these results. Biological age and physiological age are not the same thing. There are men of 75 who have the physiology of 65-year-olds. Conversely, there are men of 65 who have the physiology of 75-year-olds. Each patient needs to be evaluated as an individual. However, we also have to bear in mind that an awful lot of men think they are in much better shape than they really are, and so if you are 70 years old or older and still think that surgery would be a good idea for you if you get diagnosed with prostate cancer, you would be wise to have a very serious conversation with your doctors before deciding that this is actually the best possible decision. validates the importance of considering age when recommending RP and provides important data for clinicians when counseling their patients. 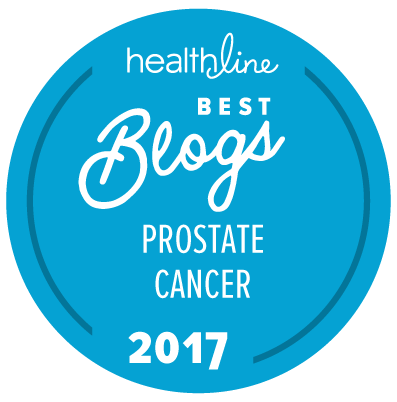 This observation validates the guidelines of many entities, such as the [National Comprehensive Cancer Center] and the [American Urological Association], that before recommending radical prostatectomy to men with aggressive prostate cancer, surgeons should be confident that the patient has a high probability of at least a 10- to 15-year survival. And we would note one more thing. This study did not examine the effects of radical prostatectomy on erectile function in these 68,780 patients, but we already know that the vast majority of men who have a radical prostatectomy lose at least some degree of erectile and sexual function after this type of surgery … and that the risk for this also increases with age. Reasonable information for urologists to consider, but also for we who have chosen to act as volunteer mentors to men diagnosed with our insidious men’s disease and to their caregivers. I’ll be forwarding this to urologists and radiation oncologist friends as well as saving this information should I receive requests from men or their caregivers for assistance in understanding prostate cancer, its treatment options, and treatment of the side effects that accompany most treatment options. My husband is 71 and was recently diagnosed with intermediate-risk prostate cancer, with a Gleason score of 7. He had 8 positive cores out of 22. Three of them had 50% tumor and one had 80%. The rest were 5%. His PSA went from 7.0 in September 2018 to 11.1 in December 2018. He has a 4KScore of 52% and a free PSA of 7. He is very healthy, otherwise: more like a 65-year-old. He is struggling with a decision on treatment — radical prostatectomy vs radiation vs proton beam. A friend recently had the seeds implanted but I can’t seem to find where that is a very common choice. Any reply would be appreciated. Also any referrals for Louisiana/Texas area. Many people from here go to M. D. Anderson, but they do not seem to be far up the “list” for urology. UTSW in Dallas has a pretty good reputation. Also, have connections at Tulane in New Orleans. I had proton beam radiation (at Scripps, San Diego, now California Protons) 3 years ago at age 72. My Gleason scores were 7s and one 8. I cannot speak too highly of this treatment choice. The main thing is to choose one of the newer facilities with a “pencil beam” technology. There is no good reason to choose X-ray radiation over protons — protons have a lower entry dose and stop completely in the targeted volume of the tumor; X-rays irradiate the entire path from entry to exit (with the highest dose occurring before the tumor). The only advantage of X-rays (if you can call it that) is that the number of treatments can be far fewer because the entire tumor (and the rest of the path) is irradiated at one time, whereas with the protons they must target multiple small “voxels” because of the highly localized energy deposition. The choice between protons and surgery is a personal one, but I consider my proton treatment to have been a non-invasive prostatectomy, i.e., minus any surgical complications, risks, side-effects or pain. Unfortunately, some of his statements are not accurate. There can be numerous reasons why one might very reasonably choose some other form of radiation therapy over PBRT. Two extremely important ones are cost and convenience. Peter W. also implies that PBRT is associated with few to none of the adverse effects associated with “x-rays”, and that is certainly not the case. On the other hand, it is correct that PBRT is not associated with most of the serious side effects that used to be associated with 3D conformational ratiation therapy (3D-CRT), but most reputable radiation oncology centers haven’t used that technique in years. Stereotactic body radiation therapy (SBRT) can now be carried out using a variety of technologies in just 5 days — with a distinctly low risk for side effects. And some of the proton therapy centers are now able to conduct PBRT with shorter course of radiation therapy too. I wish to be very clear that I am not in any way criticizing Peter W. for a decision he made 3 years ago, but 3 years is a long time ago given what has been happening in the field of radiation therapy for prostate cancer, and a lot has changed in that time frame.